New Site For Green Earth Equities » Why Green? Given present day realities, including but not limited to the economic and environmental challenges we all face, perhaps more to the point would be the question, “Why Not Go Green?” Thankfully, with changes in the housing market and the rise of affordable energy wise building practices and technologies, today’s the perfect time to raise up an army of Green Building Residential House Flippers. Nice Remodeling (The Wow! Package) combines with attention to all details (The Done Package) and the Energy Package to present a compelling final product to the HomeBuyer. It was the best of times, it was the worst of times. The famous words of Charles Dickens were never more true than now for the real estate professional who is willing to think outside the box. After 33 years in Real Estate and Construction which included stints as a Real Estate Agent, a Broker, but mainly a General Contractor, my wife and I “retired” last year and looked around for new careers to land in. We both found areas that were a passion for us, that Common Wisdom (and our friends) said, “Oh that’s not a good choice in this Economy.” She has become a top selling Travel Agency and I have become an Energy-Wise House Flipper. And we’re both having more fun than ever before. 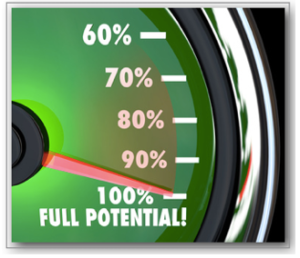 About a year ago I realized the “Perfect Storm” of Opportunity for me to jump back into real estate investing. Foreclosures were at an all time high, Interest rates are down, Rents are staying up, Banks are desperate to get rid of REO inventory. It seemed a great time to buy foreclosures and install all the energy saving items and the remodeling that I had sold as a contractor for 3 decades. My Realtor and Contractor friends said, “But Dave, you wont be able to sell your houses if you put that much into them.” Well, now that the first 5 are sold at a profit, I am convinced that whether it is the best of times or worst of times has little to do with the times and all to do with how we play the cards that life deals us. I am amazed at the people who jump on board this train in these best of times and worst of times. And who doesn’t jump on. One of my best students is a boat canvass seamstress! And many building scientists and real estate professionals haven’t seen their way out of the status quo to grasp this golden opportunity. We call it PlanetSavers Universtiy because we really are “Saving The Planet, One (foreclosed) House At A Time.” Our teaching at PlanetSavers is unique. It is more than just House Flipping, more than just Wow! 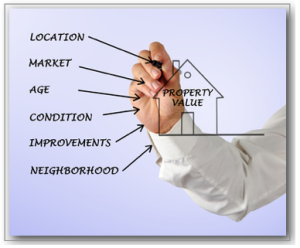 Remodeling & more than just smart buying and selling of real estate. Are Multi-Family Units Good Investments? Multi-Family Units Are They Good Investments? 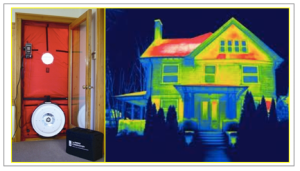 In past webinars we've taken a look at small multi-family properties with an eye for green investing. What we're finding is that while the current market can make energy wise flipping somewhat problematic, long term buy and hold strategies can still produce attractive cash flow. 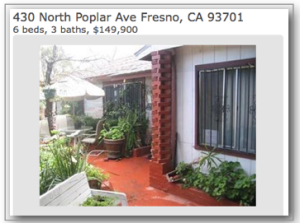 Tonight we'll be reviewing several Fresno CA area properties currently available. I invite you to join the discussion and if you see something you like make an offer as I'm planning to do. As we look at photos, property information and ROI estimates some of the factors we'll be considering include: What's the best...Continue Reading! 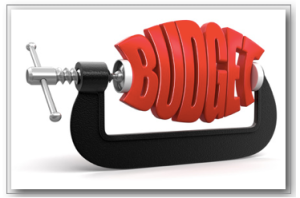 Squeezing Remodel Budgets 198 Pond Road Bridgton ME Tonight we'll be discussing the budget for 198 Pond Rd. Bridgton, ME. While at this point in the renovation some decisions have already been made, there are always plenty of last minute "grey area" choices to sort through. Join us tonight to share your two cents with the investors and see how partners brain storm to arrive at a monetary consensus while juggling energy and economic concerns. Some final considerations include: How much profit should be made off this piece of the project? Is it best to build towards marketing for sale or lease? What extras are most...Continue Reading! Remodel Budget 4554 E. Harvard Fresno CA This week I've asked our Rogelio Covarubias, our general contractor in Fresno, CA to take us through a line by line final budget for our next investor owned property. This interesting acquisition has a lot of potential but will required a good bit of work. When completed, the nearly 2,000 sqft 5 bedroom 2.5 bath home will easily provide housing for two complete families, each needing to share only a spacious kitchen. Given our experience with responses from Craig's List for 4 bedrooms, we believe we'll be inundated with renters with large or muliti-generational families. Click...Continue Reading! Residential Investing Picking The Best Green Value A couple of weeks back we took a look at a spreadsheet with 16 single family and multi family investment properties in Fresno CA. This week we'll be featuring a few of the best as we discuss how to identify the greatest value for those just getting started to the experienced green investor looking to pad their portfolio. Obvious considerations are: Location Market Age Condition Improvements Neighborhood Some other important factors include: Financing: Cash vs. financed investing Bid price: Properties with zero to a dozen offers Configuration: How does the number of beds and bath really pencil out? Previous remodeling: Are permits important? What are indicators of poor...Continue Reading! GREEN Projects Update From West to East Coast As you many know GEE always has several projects in the works. From new investment opportunities and acquisitions to energy wise remodels for flipping or renting we stay busy doing our part and helping others to Save The Planet One Foreclosed House At A Time! Tonight we'll do an update round up on current and new projects including interesting developments from the West to East Coast. Time permitting we'll discuss: Maine property acquisition including finding extra acreage attached not evident in listing. Flipping or renting options in Virginia. Rental prices increasing the Return On Investment (ROI) in California. As always...Continue Reading! 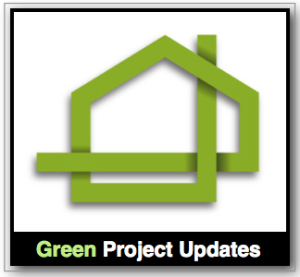 3 Project Updates From East to West Coast Greetings PlanetSavers, Tonight we'll be updating the progress on three properties we've been following. As many of you know the real estate markets across the nation provide various kinds of short and/or long term investment options while allowing for energy wise upgrades. This being the case, I believe green remodeling of residential real estate represents one of the greatest avenues for financial and environmental security. 198 Pond Rd. Bridgton, ME A 3 bedroom 2 Bath 1716 Sqft home built in 1900 that appears to be a fantastic deal at $46,000. 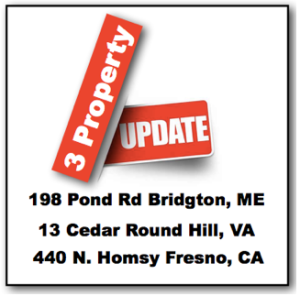 Conflicting deeds show property may be between 2-14...Continue Reading! 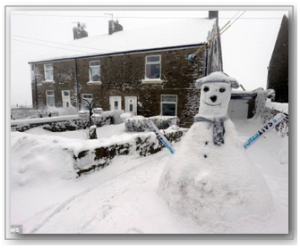 Open Forum Various Rental Issues Many thanks to our recent guest interviewees. If you missed any of these great webinars you can find them archived here. As we've been discussing, real estate markets around the nation are providing exciting investment opportunities. 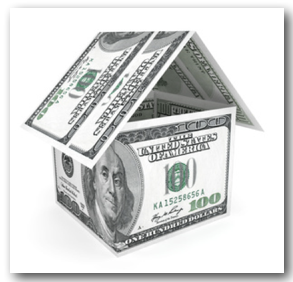 From buy and hold rental properties in Fresno, CA to Energy Wise flips in Virginia and Maine! With excellent ROI's, this is a good time to jump in and catch the rising tide of passive income and/or equity. 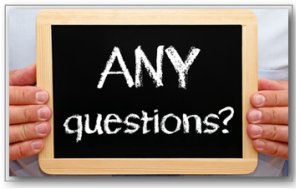 For those who already have, tonight's Open Forum's a chance to ask questions and get feedback on any and all aspects of your project. For those...Continue Reading!